After completing 18 years of service as a Marion County judge, Pamela Abernethy is launching the next phase of her career as a mediator, arbitrator, and litigator in Salem. Pamela Abernethy recently joined HLGR and is working full-time from the Salem office beginning January 3, 2012. She will be serving clients in Portland, Salem, Eugene, and the mid-Willamette Valley. 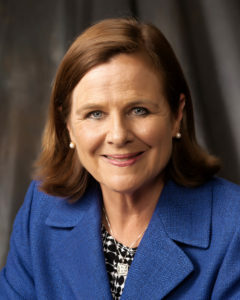 Ms. Abernethy will serve as a mediator, arbitrator, and reference judge in all areas of law, including: business and tort litigation; transaction disputes, professional liability actions, employment and labor matters, personal injury claims, and family and probate matters. She will also practice as an attorney with an emphasis on government and public law and complex civil litigation. See related news articles in the Statesman Journal’s “2011 Year in Review” and in the December 31, 2011 issue.